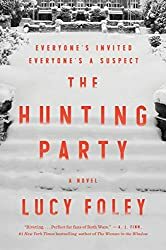 A shivery, atmospheric, page-turning novel of psychological suspense in the tradition of Agatha Christie, in which a group of old college friends are snowed in at a hunting lodge … and murder and mayhem ensue. Everyone's invited … everyone's a suspect.… All of them are friends. One of them is a killer. The trip began innocently enough—admiring the stunning if foreboding scenery, champagne in front of a crackling fire, and reminiscences about the past. But after a decade, the weight of secret resentments has grown too heavy for the group’s tenuous nostalgia to bear. Amid the boisterous revelry of New Year’s Eve, the cord holding them together snaps.